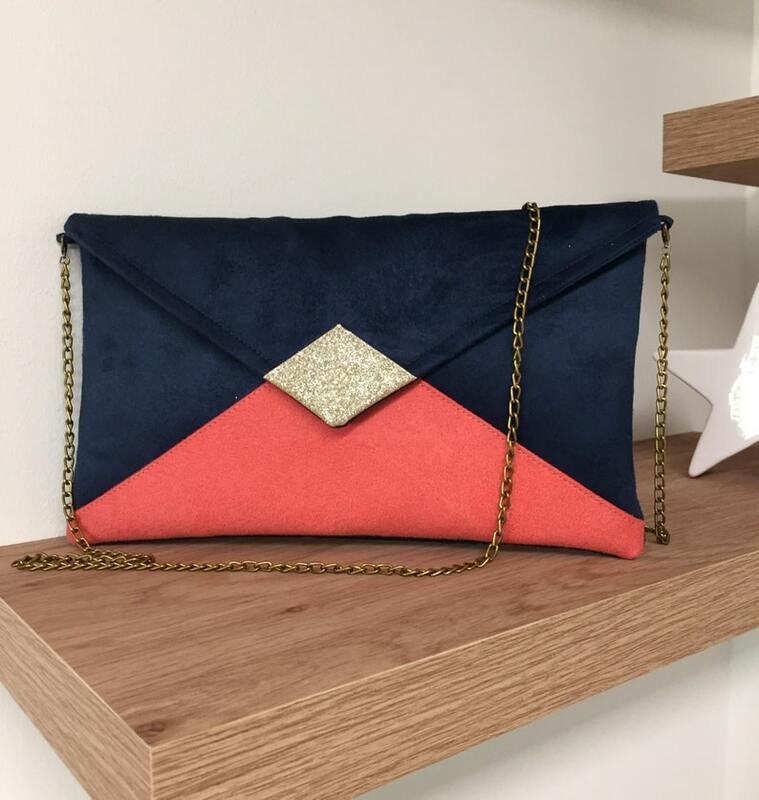 Evening bag, shoulder bag, chain bag, wedding bag, small navy blue and Living coral handbag, envelope shape, very trendy for your outings, a wedding, bridesmaids or a ceremony. This envelope-shaped bag is decorated with a strip of gold spangles suedette at the forefront of the flap. The closure of the flap is magnetic with a gold button. The small bag is also lined with a cotton printed fabric. A removable shoulder strap (100 cm adjustable) in gold bronze chain will enable you to carry it on the shoulder or to carry it as a clutch / pouch.